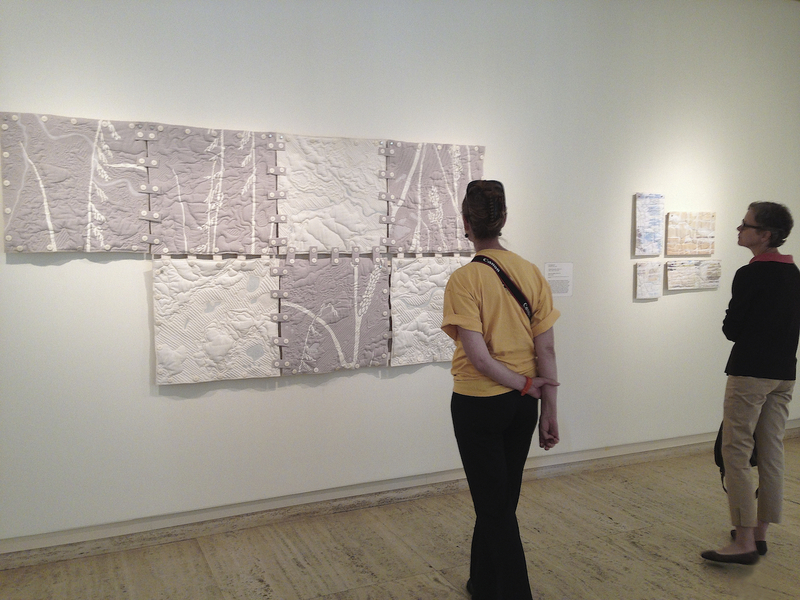 In 2013 and 2014, the Sheldon Museum of art used work from Mapping Nebraska as a point of departure for the exhibition, Picturing Nebraska, the 27th annual Sheldon Statewide exhibition. Picturing Nebraska explored the ways in which artists have depicted the state and asked viewers to examine its role in their own lives. Included were early photographs by John Anderson and Solomon Butcher, landscape images by Keith Jacobshagen and Karen Kunc and photographs by Binh Danh and Wright Morris, along with other works from the Sheldon’s permanent collection. The exhibition opened at the Sheldon Museum in July 2013 and then traveled to eight venues—Chadron, North Platte, McCook, Nebraska City, York, Falls City, Grand Island and Scottsbluff. 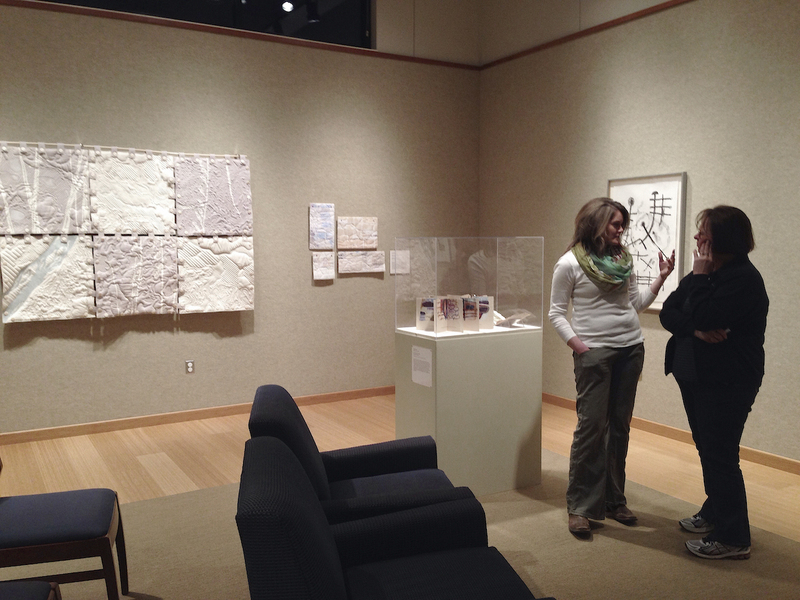 The traveling exhibition included my quilted Terrain Squares and mixed media Ground Cloths. I made a quilted square documenting the local landscape specifically for each venue and created an Education Station where viewers could touch one of my quilted squares, view a video about my project and add their comments about Nebraska. This was the first time that Sheldon Statewide included textile art and the first time that it included a project in progress. During the exhibition’s tour, visitors and local residents were invited to become a part of my project by writing, drawing, or collaging their own thoughts and feelings about Nebraska on participation cards which I collected for an exhibition at the Sheldon’s Focus Gallery. The Sheldon Statewide program is a division of the Sheldon Museum of Art outreach program and the University of Nebraska-Lincoln. Its mission is to serve Nebraska communities throughout the state by sharing the museum’s outstanding collection of American Art. Since its inception in 1987, the program has reached over 275,000 people in 24 Nebraska communities.